Sometimes a song is just too good to skip by, and if you’ve covered that song, shouldn’t you feel obliged to cover the video version? No? Well, this single from the Smallgoods is one of my favorite tracks of this year, and this video is pretty special. It begins with two explorer types, lost in the wilderness, frustrated with one another. That is until they see a satellite or star drop from the sky, dropping them knowledge via geometrical laser work. They awaken to find food and booze, and exuberance takes over; I love the go-to stick antlers move. Lost in the Woods will be out sometime in June on Lost and Lonesome (seems like the perfect home, eh?). When I think of Lost and Lonesome, I think of the finest purveyors of pop music in Australia (well, one of). But, like ourselves, they have broad stretching tastes, and today they share a new track from folk songwriter Lucy Roleff. Upon my first few listens, I marveled at her voice; it has this ability to rise and almost quiver as it reaches higher notes, yet always controlled and personable. Great voices, however, need a little extra something sometimes, like the glorious arrangements that give this almost a woodsy feel. Left Open in a Room will be out on May 15th for all to enjoy. 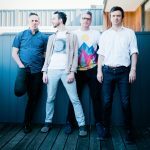 It looks as if the Smallgoods were not calling it quits, they were merely on a hiatus, and now, seven years later, that has come to an end; the band just announced their return and a new album to come this June. It’s been about a dozen years since their last proper release, and they’re still writing these soaring pop tracks that seemingly survive on melody alone. Don’t get me wrong, the sonic texture is bright and meaningful, but the slight tonal changes that rise and fall are pure bliss; it’s like the best indiepop and power-pop mash-up you never knew you needed…one might even call it the twee Nada Surf (and I mean that respectfully). 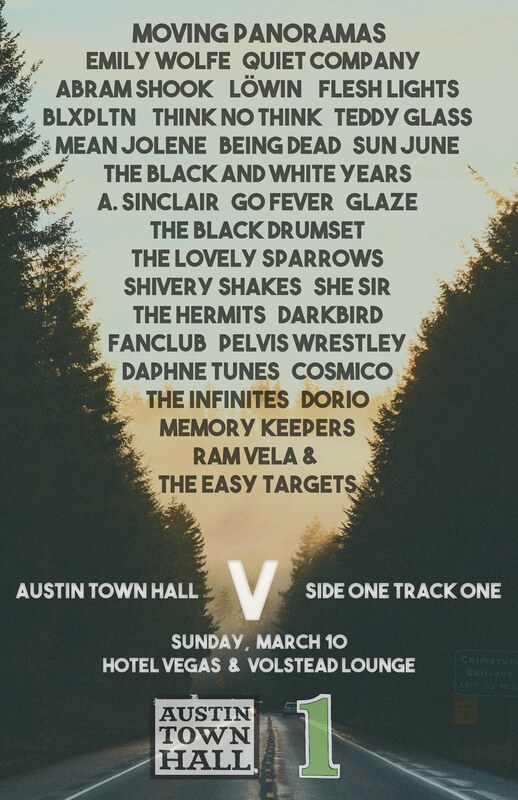 Lost in the Woods will be released in June via Lost and Lonesome. 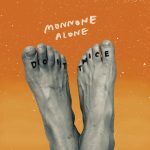 We’ve previously shared this great number from Monnone Alone‘s forthcoming LP, but with a 7″ version on the horizon, why not share the video version that just dropped. The video was shot by Lehmann B Smith, and it involves dangling Mark down a sewer drain, until he arrives on the other side of the world to meet the glowing lights. 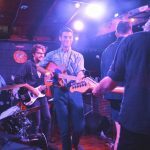 Plus, why not just celebrate the incredible hooks present in the song; it bounds and dances about, churning guitars spinning melody after melody through your speakers. You can buy the new 7″ featuring this tune from Lost and Lonesome, while we patiently await this new LP. I’m absolutely in love with this new Melbourne Cans single. For starters, the whole track’s an homage to Peggy Sue, the classic figure of American rock n’ roll. Even better, the band tease you for a full minute and a half, letting Ian Wallace offer up his haunting croon with minimal instrumentation behind him. But, then the drums kick in, the song grabs a bit of swagger and bounds off into joyousness. As it progresses I adore the slightest little curl of notes at the end of Wallace’s syllables; it fits well with just the faintest hint of a backing vocal. 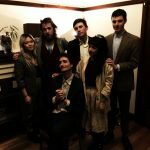 Prepare yourself to be charmed; the band release Heat of the Night via Lost and Lonesome on July 13th. 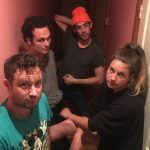 It’s been almost five years since anyone’s heard from Melbourne Cans, but they return today with a promising new single, and news of a new LP on its way. This lead single jumps down your throat with dancing guitar chords and organ bursts pulsing through your speakers before Ian enters the picture. His deepened tones are high up in the mix, crooning atop the exuberance working steadily behind him. The longer the song goes on, the larger role his voice takes in the song’s craft; I like to think of this as the alternative to the National…similar musical touches, but way less dad rock. If you’re enjoying this tune, you’ll love Heat of the Night, the new LP dropping on July 13th via Lost and Lonesome. Admittedly, I’m a label stalker, and for the last few years, Lost and Lonesome is a label I repeatedly go back to each week to unearth new gems. 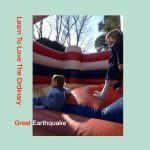 They’ve quietly put up this beautiful new track from Great Earthquake…the project of Noah Symons who drums for Lost Leaves. This number is one of patience and restraint, slowly plodding along with lyrical content revolving around the song’s title; it’s a tune about appreciating the life around you. If you’re looking for like-minded acts, then perhaps travel back in time to the music of American Football, simplistic and rewarding. Your day will only get better with this song floating around in your world. Look for Thinking & Making to come out later this year! 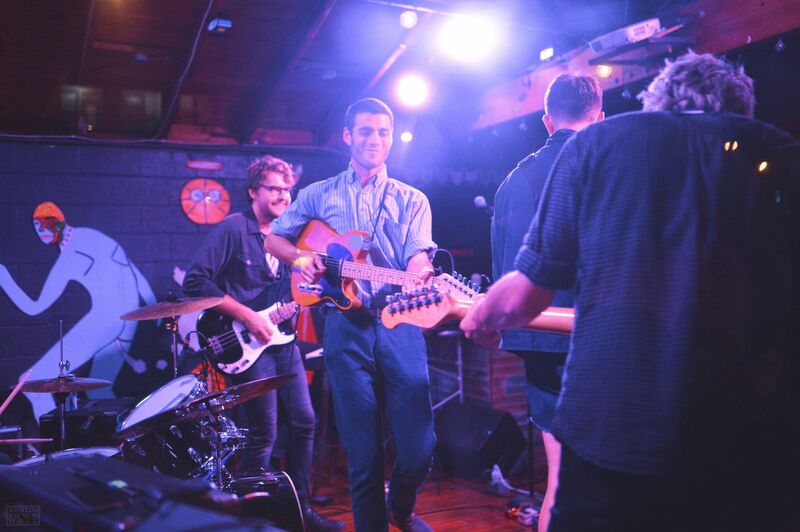 Ciggie Witch has long been an outlet for Ocean Party member Zac Denton, but on the work for the group’s newest album, they took a more collaborative approach to the recording. In the end, it leaves listeners with a completed sound…details are fleshed out, space is filled…but pop sensibility is ever present. For instance, take the exuberant explosion that jumps off around the 3 minute mark, which comes after a brief interlude of stark guitar work. It continues to amaze me how consistently good these guys are; some artists are prolific to their own detriment, but as Zac and his pals illustrate, there’s not a bad track this round. Mad Music will be released by Lost and Lonesome next Friday (10/13).